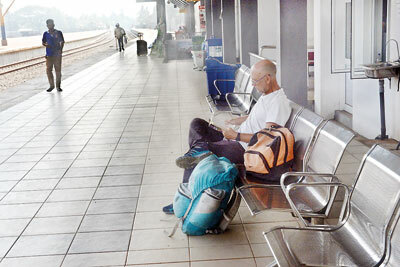 A four day, 1,400km journey across three different provinces will not give a conclusive reading on the winning order for the February 10 local polls. However, it does lay bare a number of new changing ground realities. What strikes one forcefully is the absence of any visibility of a poll – no posters and no cut outs. A few areas are dotted with decorated party offices. Creditably the Police are bringing down whatever springs up within hours. There are less meetings and candidates have found that ‘door to door’ contact with the voters is the best way. In a humorous twist, some of those contesting have begun to remember their dead parents or grandparents. Alms givings are held and would be voters enjoy a sumptuous meal as the candidate pleads for their votes. Candidates have mostly chosen simple issues such as building of drains, providing drinking water, beautifying the area, providing solutions to garbage issues or improving recreation facilities. Anura Udara Nawaratna, a young candidate vying for a place in the 16-member Mihintale Pradeshiya Sabha says, that the campaigns have been peaceful in his division. ‘The new electoral system where one party fields just one candidate from one party for a ward is helping to minimize the rivalry witnessed in previous elections. Besides as the candidate concentrates in a small area each candidate is known to each other and thereby reduces confrontation,” Mr Nawaratna said. His rival contesting from the same ward from the JVP, K.P.Piyaratna, also believes the change of the electoral system has contributed towards a healthy completion in contrast to what has been experienced in the past. I witnessed a rather unusual scene at the Sriyanandjothi Vivekasensanya Viharaya in the outskirts of Anuradhapura town area. There, four candidates met before the Chief Incumbent Ven Hewane Bodhi seela and pledged that they would not resort to violence but carry out a campaign peacefully. “As Sri Lankans we should be united. Humanity is the basis. Even the preachings of the Lord Budda says that we should be united. We cannot live peacefully without unity. 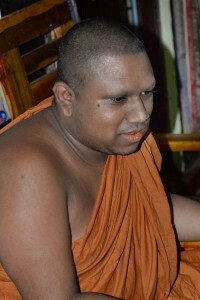 This is the message I want to get across to the candidates,” Ven Hewane Bodhi Seela Thera said. The campaigns continue late into the night. 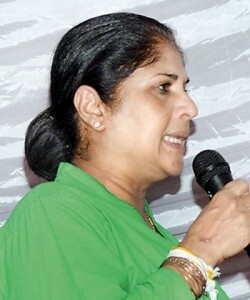 In the outskirts of the Anuradhapura city limits Women Affairs Minister Chandrani Bandara who represents the same district was addressing a pocket meeting in support of a UNP candidate in the area. Though the election campaigns were widely confined to local issues, Ms Bandara went on to speak about the Central Bank Bond issue and called the report a ‘Pussa’ (damp squib). Many in the audience, some of them in high spirits showed no response though they welcomed her comments about developing the area. In contrast to previous election campaigns the unity among rival support seem to be high. A van carrying supporters of the Sri Lanka Freedom party (SLFP) managed to drive through the crowd of the meeting venue located on the side of a road as UNP supporters guided them through. Women candidates too are actively involved in the campaign with some of them having some background but, others virtually being pushed into politics by their family members or politicians. W.M Pushpalatha, another candidate for the Mihintale Pradeshiya Sabha contesting under the ‘Phottuwa symbol’ says she has been associated closely with political campaigns in the district and was an automatic choice to contest for the council. 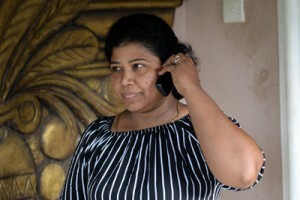 In contrast the Gayani Pradeepa contesting under the UNP ticket for the Anuradhapura Municipal Council says she was led to contest the elections as her husband was not able to contest, being a staff officer in the public sector. “But I have experience running a business and should be helpful to represent the villagers in the Municipal council,” she said. 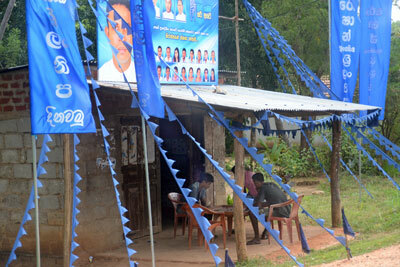 Despite the enthusiasm among the candidates the interest among the public is still low in the Anuradhapura district, but is likely to catchup in the next 12 days. As we drive through the Polonnaruwa district we witness a string of development activities including carpeting of roads, construction of new roads and new buildings underway. 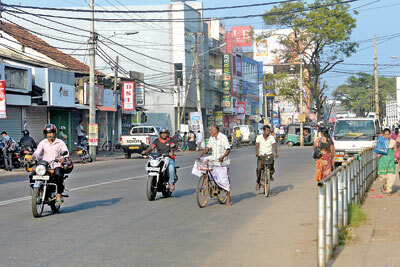 Residents credit President Maithripala Sirisena for attracting a string of development activities into the area. They include a tri- nation school under construction, a new administrative building complex where most government offices will be shifted to. “But, in the interior areas of Polonnaruwa the situation is different with poverty and unemployment still an issue,” a farmer Kapila Munidasa said. “Some of the candidates are popular in the respective area they are contesting and some times a party’s popularity may be not the only reason the voters will consider,” he said. 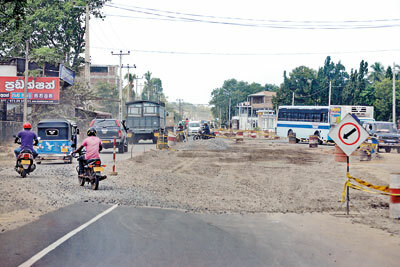 The roads from Polonnaruwa upto the north, again there no signs that elections are due shortly. At some of the locations an abandoned building or part of the house is used as the office of the candidate. 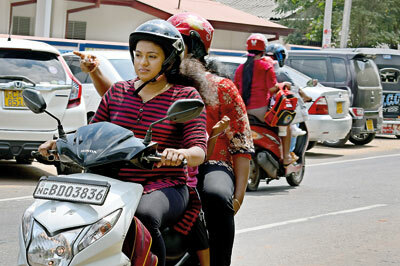 In Polonnaruwa, similar to scenes in Jaffna, many women have opted to use motor bikes or scooters to go to work and pick up their children from school. 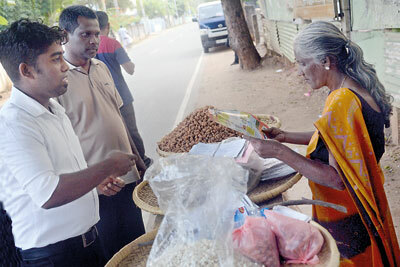 In Jaffna political parties and their candidate are keen about the elections with main concentration on house to house campaigns carried out in the evenings to distribute propaganda material among voters in the respective area. Almost all main parties contesting in the north have put forward their manifestos, in contrast to the campaigns in some of the provinces in the south and offer a range of benefits including infrastructure development, improvement of sanitation facilities and introducing livelihood projects to the voters once they form the councils. 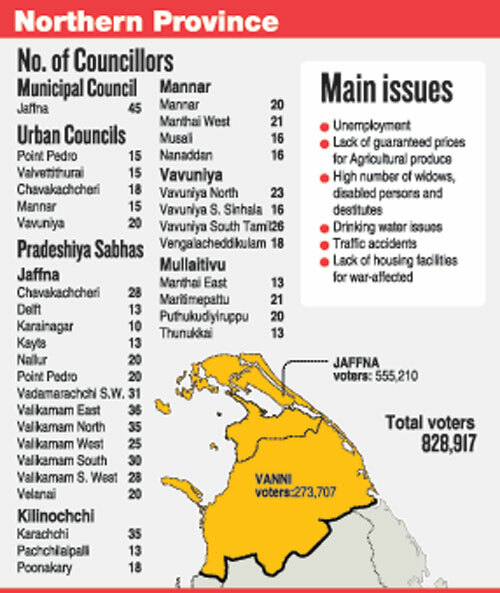 The only Municipal Council in the Northern province – the Jaffna Municipal council for which 45 members will be returned has drawn the biggest attraction from the main 10 to 12 parties contesting in the province. C.V.K. 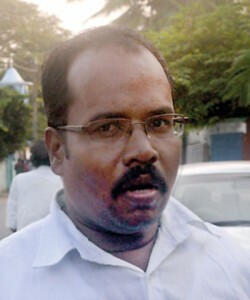 Sivaganam, currently serving as Chairman of the Tamil National Alliance (TNA) controlled Northern Provincial Council and involved in drafting of the manifesto of the Illankai Thamil Arasu Kachchi (ITAK) says though the election was largely on local issues they have also been forced to deal with their position on national issues. ‘Our opponents have raised the issue that we have dropped the idea of federalism and we have been forced to explain ourselves to the people regarding the position taken in the interim report on the proposals to be included in the Constitution’, he explained . “Unlike Parliamentary elections the voting will depend on several issues such as locality, religion, cast, friendship ‘, he added. Unlike in most other provinces unemployment rate (18 per cent), he says is high in the province with no industries in the area while the province has some unique problems with 80,000 widows, 15,000 destitute children and about 15,000 disabled persons which need to be resolved. Mahalingam Arulkumaran, one time journalist also contesting under TNA ticket for Jaffna Municipal Council (JMC) in Grand Bazar- Vannarpannai ward ” We have just released our manifesto for development of Jaffna city this week based on the needs and expectation of our people. This time, the local elections also caught significant attention of some ongoing national topics such as new constitution making process which is currently underway. Mr Arulkumaran said. Though the ITAK remains strong with the chances of capturing the majority of the councils after obtaining 69.1 per cent at the last parliamentary elections in Jaffna district and 54.5 in the Vanni district they are being offered some competition by parties such as the All Ceylon Tamil Congress (ACTC), Eelam People’s Democratic Party (EPDP) and the Tamil United Liberation Front who may have increased representations in the council. The ACTC led by former MP Gajendra Kumar Ponnambalam has fielded mostly young candidates who are on a campaign for a ‘Change’ calling that parties which have failed to serve the people should be replaced. Sivakanthan Thanjun, a graduate serving as a Central Cultural Fund (CCF) officer contesting for the Jaffna Municipal Council under the ACTC says they want a ‘clean city and clean hands’. Taking time to speak during the house to house campaign , Mr Sivakanthan said “ People in Jaffna need a change as those representatives from the local bodies failed to fulfill the needs of the people. “There are 2840 votes in our ward. 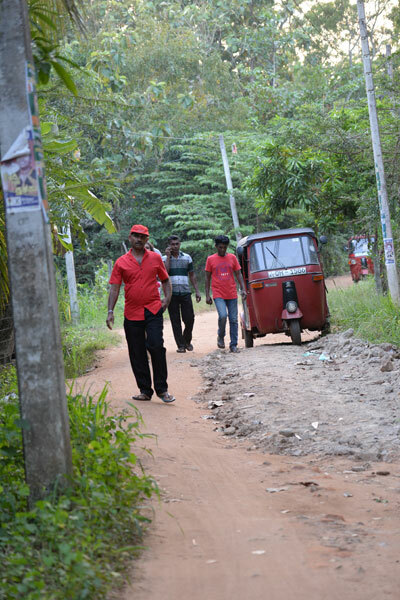 This time, our candidates, mostly youths have launched an active door to door campaign instead of using posters to make an effective change in our local government system,” Kathirkamanathan Kenthiran, another candidate of the ACTC whose name has been placed on the Proportional Representation (PR) list for the Jaffna municipal council said. The main parties contesting in Jaffna are the United National Party led by minister Vijaya Kala Maheshwaran, UPFA campaign led by MP Angajan Ramanathan and the Sri Lanka Podujana Party led by M. Rajiv, an ex-EPDP member. A sitting ITAK provincial council member Ponnadurai Ainkaranesan who was removed from his position as a minister in council is supporting an independent group in Nallur which is set to break some of the ITAK votes. In the adjoining Kilinochchi district the elections are being held for three Pradeshiya sabhas with all parties fielding list of candidates which included former LTTE cadres. 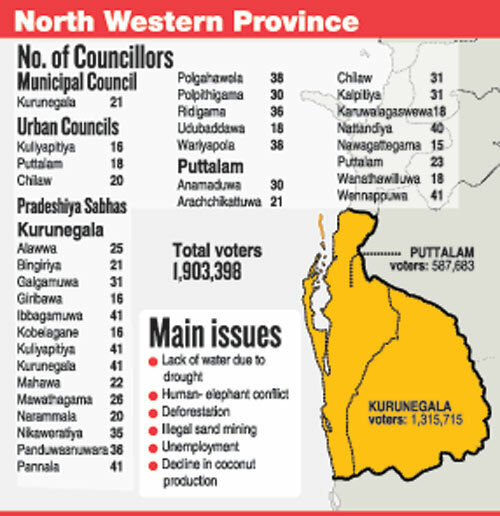 In the rest of the Vanni district which comprises Mullaitivu, Vavuniya, Mannar elections are being for the Vavuniya Urban council and four PS’s in the district, in Mannar one Urban council and four Pradeshiya Sabhas and four PS in Mullaitivu.